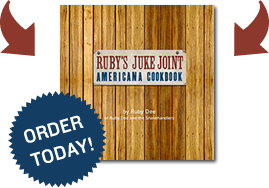 Author Ruby Dee and host Henry of The Real Radio Show at WRCN 103.9 fm in New York will talk about Ruby’s book, food, music, life on the road, and more. And to top things off, Ruby and Jorge will be joined in the studio for a song or two by Twisted Sister drummer AJ Pero! Get THAT!